We break down the Bucknell game – and we give our fearless prediction, below the flip. Like Lehigh, the Bison are 1-7, but unlike Lehigh, the Bison have played a whole lot of close games. 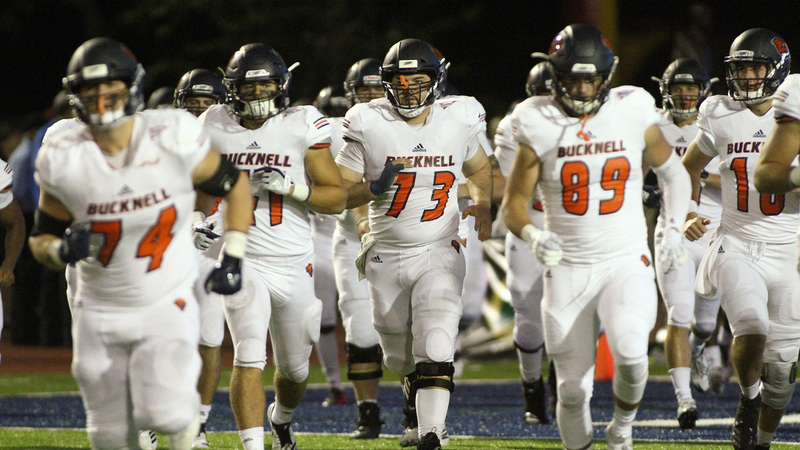 Two weeks ago, Bucknell came a two-point conversion away from tying Lafayette but fell just short in a 29-27 loss to the Leopards, and had the ball with a chance to win the game late in the fourth quarter. They also played William and Mary close to start the season, falling 14-7, and their lone win of the season came against Holy Cross, the same Crusader team that walloped Lehigh last weekend 56-0. When the Bison played them, two Bucknell touchdowns and two Bucknell field goals were enough to carry the Bison through in a 19-16 win. Like many Lehigh opponents, Bucknell always enjoys extracting their pound of Mountain Hawk flesh if they are able. The Mountain Hawks have won 17 of their last 19 meetings against the Bison, and they are likely to put their absolute best foot forward with a chance to send a message. This is this group of seniors’ final chance to be able to beat Lehigh, and they have to be licking their chops looking at last week’s game film. We break down the Holy Cross game – and we give our fearless prediction below the flip. Head coach Bob Chesney is in his first year in Worcester and is working to build up his mark on the program, despite a 1-6 record. He came to Holy Cross from Assumption College, where he compiled a 44-16 record and made the nearby school a solid member of the NE-10 conference. Assumption has been a strong D-II school over the last decade, engineering an upset over Fordham in 2010 (though that was before Chesney’s time). When Chesney came to Holy Cross, he brought in an almost entirely new staff from the one that Tom Gilmore had assembled. Only four positional coaches remain, while Chesney brought in a new offensive and defensive coordinator. Holy Cross also had, by far, the toughest schedule of any school in the Patriot League in September, starting with Colgate, who sits undefeated, Dartmouth, who sits undefeated, and Boston College – yes, that Boston College. Throwing out those three games, the Crusaders have been inconsistent, upsetting Yale, but being upset at home by Bucknell. So it’s hard to tell what Lehigh is going to get this week. We break down the Georgetown game – and we give our fearless prediction below the flip. Normally, we don’t need to break out the Las Vegas betting lines to motivate Lehigh football players. But in this very special case, it seems worthy to make an exception. 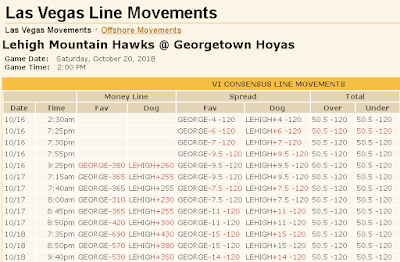 The people who make a living betting on the outcomes of sporting contests have seen Georgetown, yes, Georgetown, set up as 14 point favorites to beat Lehigh. You know what else is interesting? 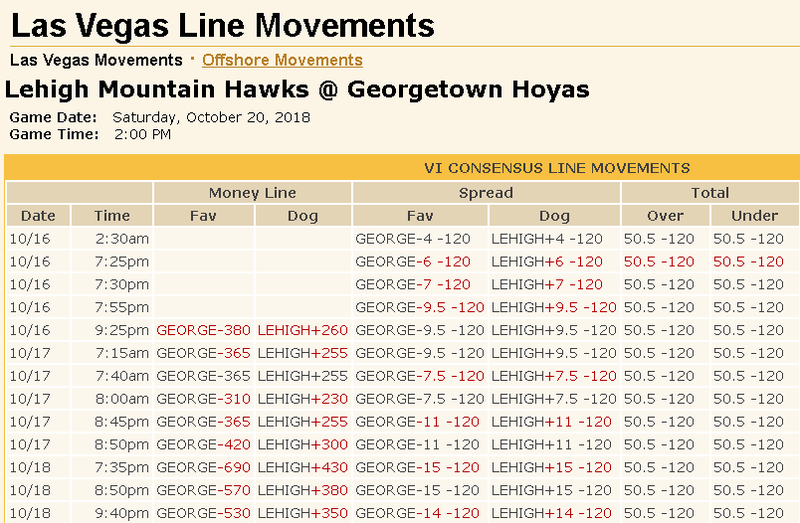 The line started out with Georgetown only 4 point favorites. Over the course of the last 48 hours, apparently, so much money has come in on Georgetown that it has actually swelled to a 14 point difference. If there was ever a concrete indicator that there are a lot of people that believe Lehigh will fail this weekend, and fail by more than two touchdowns, this is it. 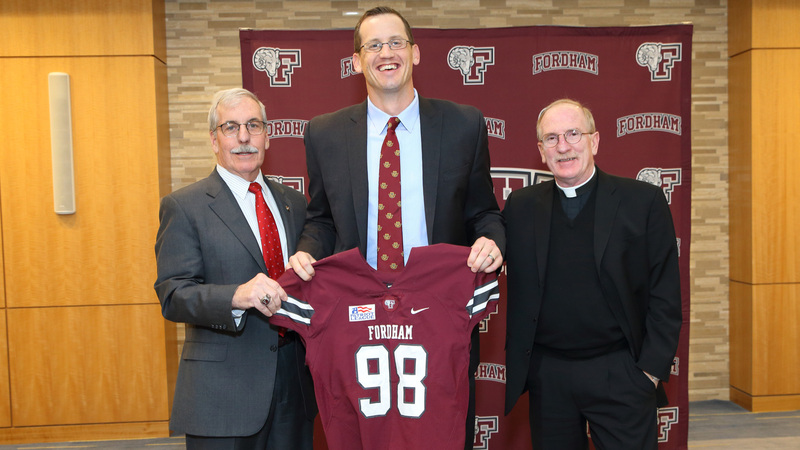 It’s time to go full nerd and do a full-blown breakdown of the Fordham Rams. The first point of information about the 0-5 Rams you need to know is that they are young, and rebuilding. Joe Conlin is their first-year head coach, and you had better believe that he and his team would love nothing better than to get Conlin’s first head coaching victory against Lehigh, a team that Fordham has beaten in four of the last five meetings between these two programs. But the 2018 Rams are vastly different than the team that suited up QB Kevin Anderson and current Arizona Cardinal RB Chase Edmonds on their roster. Anderson, who was a transfer from an FBS school (Marshall), had loads of experience and additionally used a redshirt year at Marshall, and Edmonds, as any reader of this blog would know, stepped in immediately as a freshman on Rose Hill and it was abundantly clear he was a generational talent running the ball. For Fordham, this team is adopting a new philosophy under a new coaching tree. Gone is the Joe Moorhead/Andrew Breiner tree, having finally settled down at Mississippi State. In is Conlin, a long-time Yale assistant coach who has made stops at a ton of different great, powerful FCS college football programs, including both New Hampshire and Havard as well as the Bulldogs. So growing pains. certainly, were to be expected, especially with a schedule that included an FBS team (UNC-Charlotte), an FCS Playoff team (Stony Brook) and a historically good CAA team (Richmond). It’s time to go full nerd and do a full-blown breakdown of the Princeton Tigers. 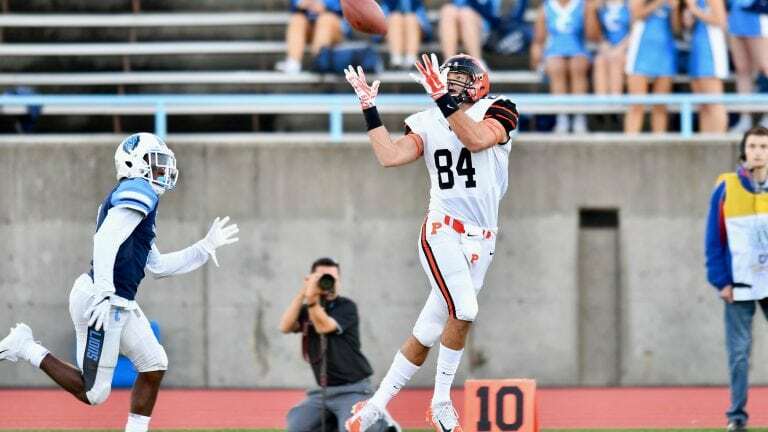 Princeton released their game notes earlier in the week and today added to their preview pack an interview previewing the Lehigh game from head coach Bob Surace. Surace did make an observation about Lehigh that was worth mentioning, after philosophic about the abilities of RB Dominick Bragalone. As Lehigh fans, we do tend to forget that Lehigh has arguably played the most challenging schedule they’ve had in a decade. Not that that’s any sort of excuse, but the truth is that in order to be considered a top team in FCS, the Mountain Hawks need to be able to compete in games like this against nationally-ranked teams like Princeton – and beat them. It’s time to go full nerd and do a full-blown breakdown of the Penn Quakers. Penn’s game notes were out in good time, and The Philadelphia Inquirer, thankfully, still does a pretty good job in covering the Quakers in an independent way. Both were invaluable for my analysis. Unusually, Lehigh faces Penn this time around in a game that is not the Quakers’ season opener. In prior years that made it tricky for the Mountain Hawks to sometimes get a full sense of what head coach Ray Priore might be doing, because there would be no true game film to study, only practice film and, if they’re lucky, an accurate two-deep. 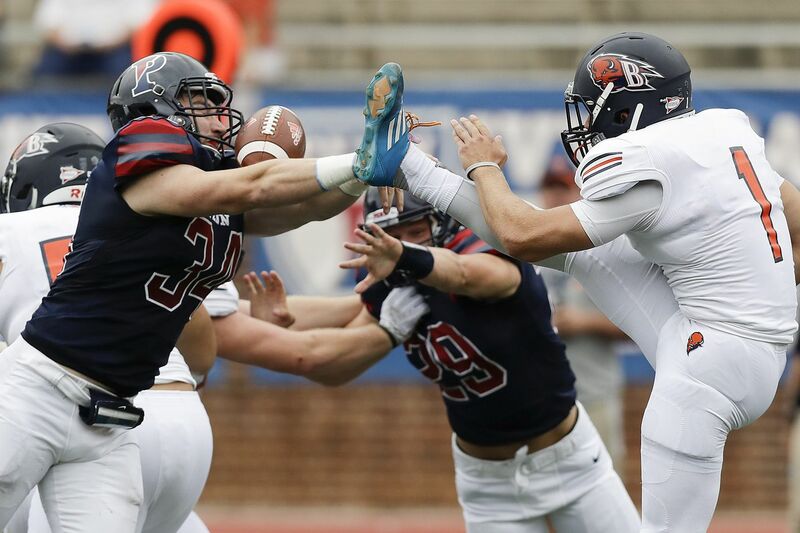 This year, though, Penn has already had their first game, playing Bucknell in a game which they won 34-17. It was a strange contest, basically won in the first five minutes thanks to 17 points donated to the Quakers via two Bison turnovers and a blocked punt. Both teams would only put up 17 points the rest of the way each.